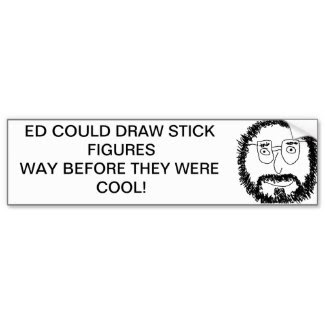 Edmund Metheny is creating Photography and Photodoodles! I started taking pictures when I was 12, following my father (also a photographer) around San Francisco with my little Instamatic camera and wandering in and out of traffic trying to get photos of seagulls and pigeons. Now, many years later I still have a somewhat cockeyed and obsessive view of the world. I like to push my camera, my creativity, and my vision to their respective limits and beyond, just to find out what they can really do. Yes, sometimes that means that something breaks - but it also means that I have developed a unique and interesting style that I want to bring to others. Your assistance as patrons will help me to keep shooting, keep developing, and keep imagining. My goal is to create content that is not quite what you might be expecting, images that you want to look at again and again to find something new in or to think about. With your help, I will! Thank you so much for giving some thought to becoming a patron. I am grateful, from the bottom of my heart to the tip of my shutter finger! If you subscribe for $5.00 per month, you will become one of my official patrons! I will list you on my websites as such, and each month you will get an e-card thanking you for your continued support! In addition, for becoming a patron you will get a button showing that you support me and my art, to wear with pride! As above, but instead of a file, I will print the photodoodle out, sign it, and mail it to you! 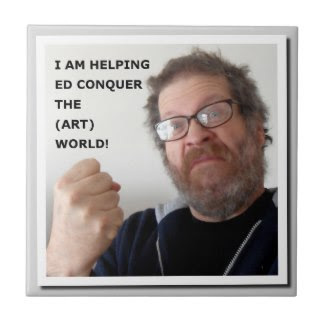 In addition, for becoming a patron at this level you will receive a ceramic tile showing your support for my impending conquest of the art world. A perfect conversation piece! At this level, you may send me a photo at appropriate resolution and I will make a photodoodle of it, print it, sign it, and send it back to you. The finished product will be 8" x 10" This will be a one-of-a-kind piece, not available for sale (though I may request the right to display it one one of my websites if it is particularly cool!). Please send only photos that you control the copyrights to. 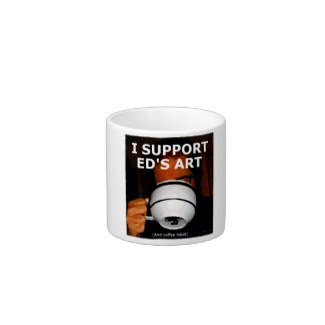 In addition, for becoming a patron at this level you will receive this espresso cup. Wire yourself up while supporting art! At this level of patronage, you will get the same service as for the $20.00 membership, but your finished product will be 11" x 14". 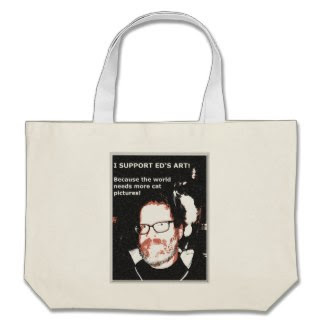 In addition, you will get a tote bag for becoming a patron at this level. Because... tote bag! In addition to the above, rewards, should you support me for this amount per month I will donate a framed 16" x 20" print of your choice in your name to Artists for Charity. Really the question here is more what I WON'T do if you support me at this rate! Well, nothing immoral or illegal of course. And nothing that would screw over my obligations to my other subscribers. But if the Pentagon happens to have extra cash lying around, I would be happy to act as a deterrent to attack by sending art to our enemies,showing our superiority! I would be happy to go pretty much anywhere in the world to do art on any subject that you want me to do art of. Need brain surgery? I'll do it! Note that I don't have the skill set to do certain tasks particularly well, so depending on what you want me to do for the money your satisfaction with the final result may vary considerably. Alternately, if you really hate - I mean REALLY HATE the stuff that I do, then this is the support rate for you! Sign up at this support rate and I will do absolutely nothing for the month in terms of art. Not a thing (well except the stuff that I owe other subscribers of course!). Note that this support rate is limited to ten people. So sign up today! Perhaps you can get into a bidding war with others for my services! I need to replace the body of my T-90 so I can make use of all the lenses and filters and gadgets and stuff that I have! When I hit the funding goal of $100.00 per month, I'll get a new T-90 camera body!